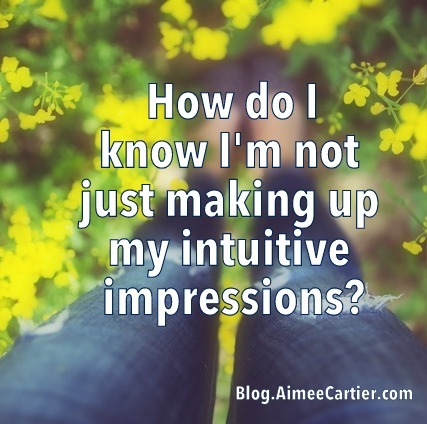 How do you know you’re not just making up your intuitive impressions? This is a question I hear a lot from my Intuition University students when they are first starting out. I have a few things to say about this, “Help! Is it all in my mind! ?” mentality. In fact I’d like to blow that idea right out of the water once and for all. Because I see that it is something that holds you back. This fear of being wrong or “making things up” holds you back from receiving, but more importantly TRUSTING the valuable information that your intuition is giving you. I’m the first to admit, sometimes your intuition will speak to you in funny ways. Recently, as an answer to one of the questions I was thinking about, I had an image of the Barbie book I had read to my daughter the previous evening flash through my mind. It was funny and startling to me when it happened. But when I took a second to examine it, I knew exactly what the message was. I had had a very specific reaction to this book that she chose from the library– and while reading it to her I had been thinking a lot about my distinct impressions of this story. When I saw the image of this book in my mind I asked myself, “What does that Barbie book mean to me?” I knew immediately. Then suddenly I could see how that image, that impression– that came through my mind– was actually in direct response to something I had been considering at that very moment. It gave me valuable information on how to proceed with a situation and how it was going to work out– which my experience later proved to be true. So I get it that the language your intuition uses to speak to you is sometimes funny or weird. But when you discount it, you miss the valuable information that it gives. Information, like all intuitive knowing, that is meant to guide you toward your own success and fulfillment. Information that often gives you valuable intelligence on how to proceed. So here is what I want to say about your “Is it all in my mind?” question. Here is how I want to debunk it once and for all. Many many many things start in your mind. You can’t even create or accomplish any project or success without first starting to envision it in your mind. So I’d like to burst this idea that it’s incorrect, or not true, or “imagined meaning bad” if your connection with your innate intuitive senses starts in your mind. Of course it starts in your mind. In fact, that is where you begin most things— why should it be any different with your intuitive knowing or psychic senses? So, let go of the fear that you’re making it all up. In my experience worrying about such is holding you back from some very valuable information or understanding about your life, your pathway, or what to do now or next. Give it a go– give up wondering if you’re making it up, and instead, listen to the message you are receiving. Sometimes it’s just easier to learn to trust this success giving sense called intuition when you have a guide helping you along your way. If you are ready to develop your own intuition into a finely honed instrument that guides you naturally to the life you are meant to live, professional psychic, Aimée Cartier’s Intuition University is for you. Aimée teaches group programs, and takes a limited number of private Intuition University students per year. If you are ready to take your inner knowing to the next level, you can find out more about her programs here, and schedule a free exploratory call with Aimée to find out if her program is right for you. It’s okay to feel. Really. Go ahead and cry, be angry. It’s good for you. 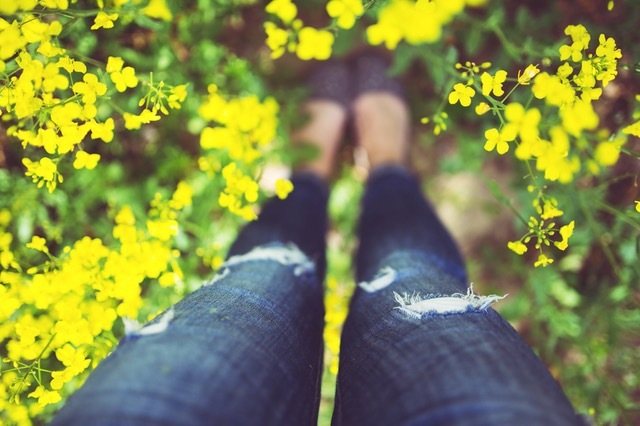 A love letter to my intuition + all of the BIG things it has given me. This mom went to Paris alone but I was scared. Here’s why and how.